Quiapo, MANILA – The Parish of San Sebastian in Manila celebrated the solemn feast of Nuestra Señora del Carmen de San Sebastian last January 29, which was a return to its previous feast day. The universal Church celebrates it on July 16. The Pontifical Mass, which started at 6:00 in the evening, was presided by Most Rev. Honesto Ongtioco, D.D. of the Cubao. Devotees and parishioners flocked to the basilica which is home of the image for centuries already. In his homily, Bishop Ongtioco expressed gratitude to the Recollects for bringing the first image of Our Lady of Mt. Carmel to the Philippines in 1618, a number of years before the first Carmelite missionaries arrived in the country. Along with the bishop were the prior provincial, Fr. Dionisio Selma, OAR, the basilica’s rector, Fr. 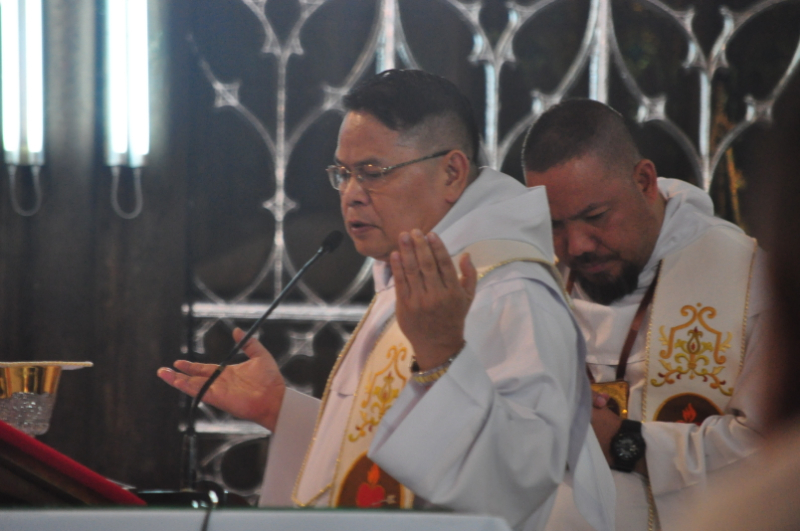 Edgar Tubio, OAR, the parochial vicar, Fr. Alexus Mansueto, OAR and a good number of religious and priests. Fr. 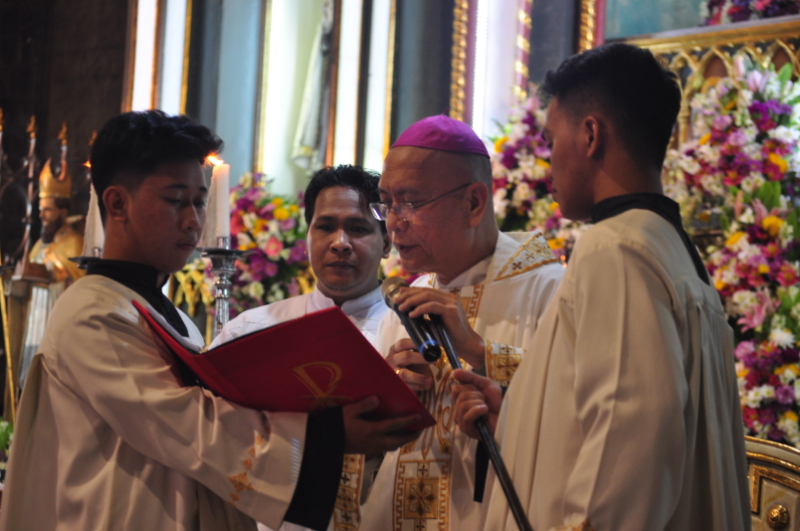 Dionisio Selma, OAR concelebrating with Bishop Honesto Ongtioco, D.D. Mother Lucila Antipala, AR, superior general of the Congregation of the Augustinian Recollect Sisters, along with some AR Sisters, was also present in this special occasion. This was a reminder of the Congregation’s historical link, through their foundresses, with the image of Our Lady of Mt. Carmel de San Sebastian. In the past years, the feast of Nuestra Señora del Carmen de San Sebastian was held every 21st of January, immediately a day after the feast of the very patron of the basilica—San Sebastian—where the icon is enshrined. This concession was granted by Rome which gave the OAR Fathers of San Sebastian the freedom to choose a date for Her feast. But in order to have a novena in her honor, the date was later transferred to January 29. Also in attendance in the holy mass were the seminarians, the members of the Secular Augustinian Recollect Fraternity, and the members of the Third Order of the Carmelites. Various parish organizations of the basilica also graced the said celebration.